The original Screen adaption of Stieg Larsson’s Millennium trilogy: The Girl With The Dragon Tattoo, The Girl Who Played With Fire, and The Girl Who Kicked The Hornet’s Nest introduced Noomi Rapace to the World. The actress has already won the Swedish equivalence of an Oscar for her portrayal of Lisbeth Salander the central nuclear character. Speaking to Deadline Rapace revealed her thoughts on David Fincher's Big Bucks Hollywood remake of The Girl with the Dragon Tattoo. DEADLINE: What do you think of the American remake of these movies that David Fincher is directing in Sweden? NOOMI RAPACE: "That’s weird. They’re doing it with a Swedish accent as well. That’s also pretty weird. But I’m quite okay with it. I really knew in my heart that I totally loaned myself to her and she took over most of my life. When it was released and they started to talk about the remake, people asked me and I said. ‘No, I’m done with her.’ And then everybody came back to me and said, ‘But it’s David Fincher.’ There can’t be any reason to do it again. I don’t want to repeat myself. Hopefully they will do something far away from our films." Deadline: "Are you the kind of actor who can leave the set and forget about it?" RAPACE: "No, never. That’s quite difficult for me. She stayed in me like non–stop for the whole time. The last scene was quite strange. All the producers came in with champagne as they wanted to celebrate, and I had to go to the bathroom because I started to throw up. I knew my whole body was just throwing Lisbeth away and cleaning itself from Lisbeth in a way. And the next day I remember standing at home looking at myself in the mirror with this Mohawk, and all those scars from the piercings, and I asked, ‘Who are you today?’, and I had no idea. It was actually one week and I was pretty lost and then I started to rehearse Medea." DEADLINE: "Was the role of Lisbeth Salander something you went after?RAPACE: No, I’ve never actually called anyone to say, ‘I want to do this’ or ‘please consider me’. I’m not that kind of person." DEADLINE: "Did you think you were right for her?" RAPACE: "I thought they would judge me for being too girlie because of the way I look in my private life. I look much more feminine. Sometimes people can’t really see that you can transform into something that is pretty far from the way you look today. But I knew that. So I was quite surprised when they called me and wanted me to come in for an interview. So I went and I said to myself, ‘don’t hope for anything, they won’t call you back,’ so when they did I borrowed clothes from my husband and I met the director, and I told him, ‘If you want me to do it, I would like to do all my stunts. I want to really change myself into her, change my body, and pierce myself, and take a license for motorcycle, and do everything as far as is possible, as I think I know something about her. So if you trust me, I will give her to you.’ And he did." DEADLINE: "Was it an advantage as an actor having books to draw on instead of just the script?" RAPACE: "I used it a lot. It’s like you have the whole background, you can dig, and you can take things that are useful, and find some clues to who she is today and all that. Lisbeth is something between Noomi and something in the script." DEADLINE: "Are you surprised at the strong reaction in America to you and the movies?" RAPACE: "I’m very self critical. I always expect people not to hate me but to not like me. When they announced that I was the one who was going to play Lisbeth, it felt like a suicide mission because it’s not possible to satisfy everybody. And I thought they will probably hate me. I had to close my eyes and my ears and just create some kind of protecting bubble around me to be able to listen to my own voice and find her in me." DEADLINE: "There’s been Oscar buzz which I would think must mean something to you?" RAPACE: "I want people to believe in what I am doing, and I want people to be able to see a character that I’m playing, and to think that she’s a real person. So when people do that, that makes me so warm inside. I don’t dare think about the Oscars and all that. It’s too far away." 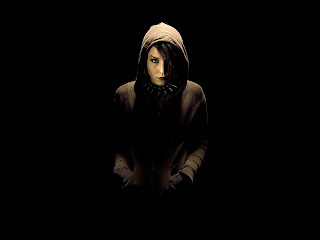 I'm reading: NOOMI RAPACE THINKS DAVID FINCHER'S [THE GIRL WITH THE DRAGON TATTOO] REMAKE IS WEIRDTweet this!